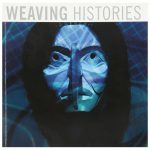 Weaving Histories documents and marks the culmination of Response, an educational outreach program organised through a partnership between First Nations Student Services at Capilano University and Presentation House Gallery between 2013 and 2015. Weaving Histories features a wide range of contemporary art and writing by the program's guest artists and speakers, Capilano students, and others who extend from and refine issues addressed at Response events. The publication’s contributors investigate the current repercussions of colonial forms of education, explore the place of oral histories as well as visual art in remembering residential schools, respond to the Canadian government’s recent shortcomings regarding Indigenous rights and honour the “living memory” of missing and murdered Indigenous women and girls. From a photo-essay and digital images responding to relations between contemporary and traditional forms, to collages reflecting a medley of cultural imperatives, this book considers a breadth of interrelated concerns. Emphasising the potential of art to be an ally in shaping how we understand the world, Weaving Histories offers complementary aesthetic, ethical and critical considerations, which crisscross throughout the book’s sections to reveal an underlying, resistant fabric. Weaving Histories includes contributions by Cathy Busby, Maureen Black, Marilyn Carpenter, Bracken Hanuse Corlett, Tarah Hogue, Reg Johanson, Taran Kootenhayoo, George Lawson, Clay Little and Sydney Hart.